Passion. While not a necessity of life, passion is, and perhaps will always be, a necessity for living. Through the ages the passion of those who have gone before us has vaulted us from the mundane to the remarkable. Blind to the limitations of what is possible, our passion fuels our imaginations to such an extent that anything seems within reach. And the most beautiful and wondrous thing about passion? It is something that anyone can possess by simply wishing it to be so. One of my passions is photography. And I don’t mean that I enjoy taking pictures, I mean that I enjoy everything associated with the art of photography. From the old school Diana camera sitting on my desk to the brilliant works of Julian Calverley, the mechanics and art of photography are not something that I feel I will ever get enough of, and that suits me just fine. While I hold no illusions that my skill will ever approach that of Calverley, there is not one doubt in my mind that my passion for the art is equal to his. A few days ago, I was looking through some older photographs and when comparing those to more recent works, it is clear that I have, at least to some degree, achieved a higher level of skill—better composition, better control of exposure, better control of not pressing the shutter button four million times when just one time will do. This should come as no surprise as we all know that if we keep at something, eventually, we will get better at that something, whatever it may be. As long as we have a passion, there is no other way it can be—better we will become. As my skill increased, so did my comfort level. I found the courage to leave my comfort zone and enter into another, less familiar area of my craft. Where once I had been spraying and praying, I was now carefully calculating the exact amount of time, to the second, for the proper amount of light to ease through a ten stop filter and fill the sensor with my latest composition. My latest hope. And every once in a while I got it just right. In the process, I took pride in the fact that not too far in the past what I was doing seemed inconceivable to me. Filters? Exposure times of minutes, not fractions of seconds? An image from this? Impossible. And yet, there I was, doing the same thing countless others had done before me. Granted, my work has yet to hang next to anything really famous but my passion for what I am doing covers any gap a lack of fame might create. I simply love doing this and that, dear friends, is far beyond enough. Filters were a departure from the norm for me but I had certainly heard of them and seen the results of using them. 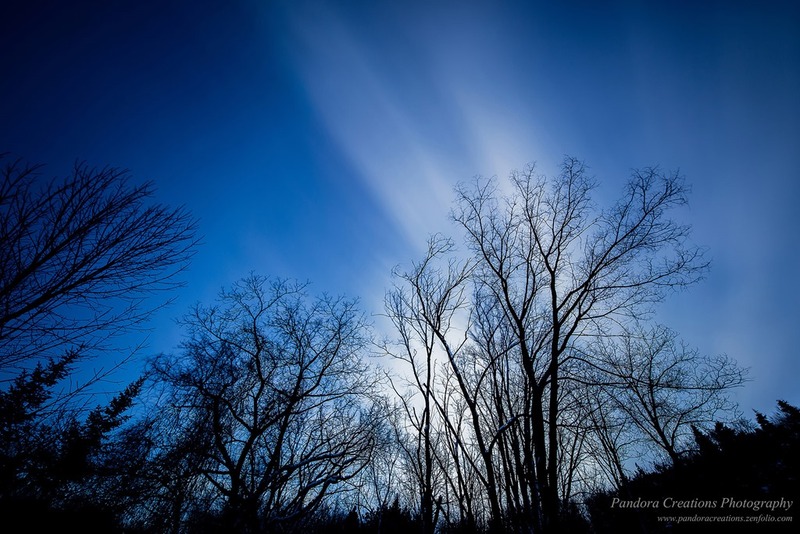 Whether it be to control a difficult exposure situation or achieve an artistic effect, filters are an important part of any photographer’s kit. 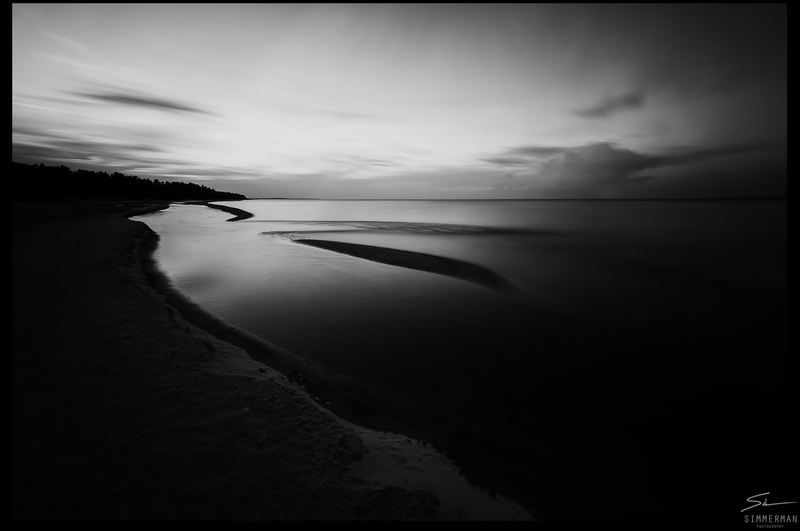 Rip Tide, an ethereal vision of a nearby creek that empties into Good Harbor Bay in Lake Michigan, was acquired with a 10 stop neutral density filter, a good tripod, and a lot of patience. 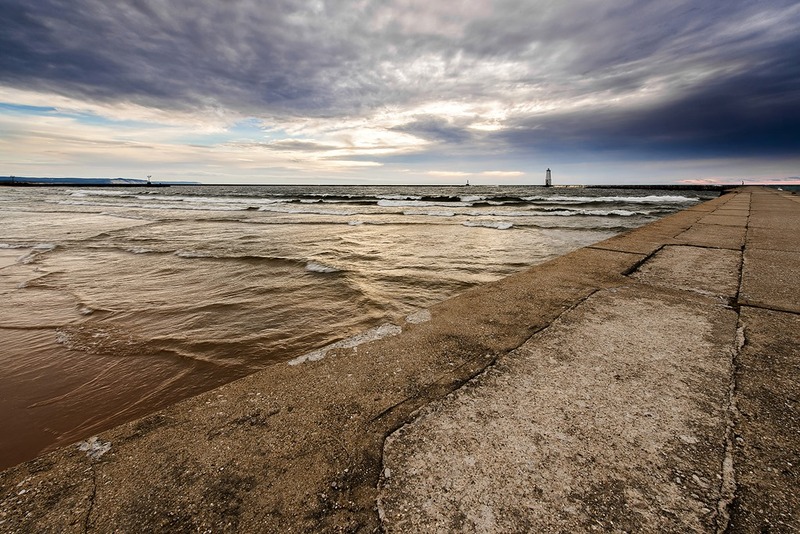 14 mm, f\10, 269 seconds, ISO-100, Formatt Hitech 10 Stop Pro IRND, Lucroit wide angle lens filter system. 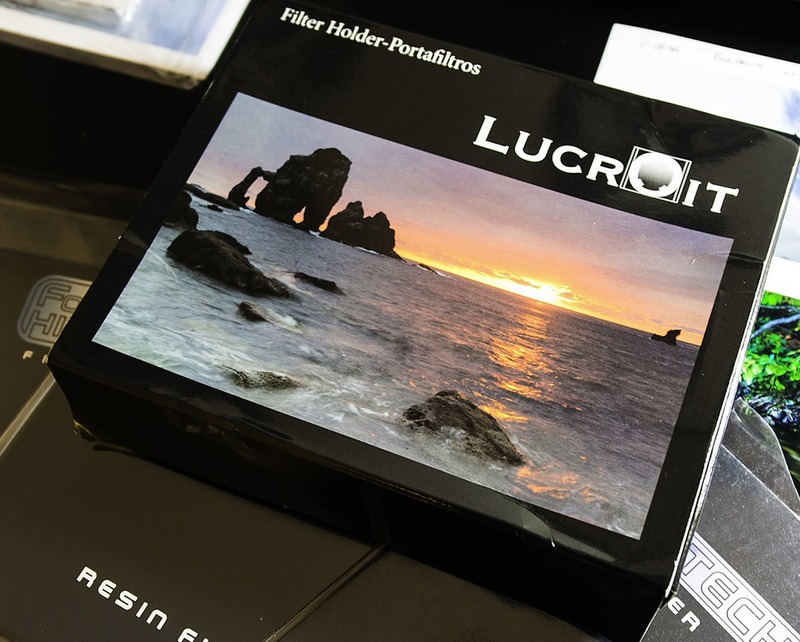 I have used several filter types and systems and my favorite are the systems available from Lucroit. 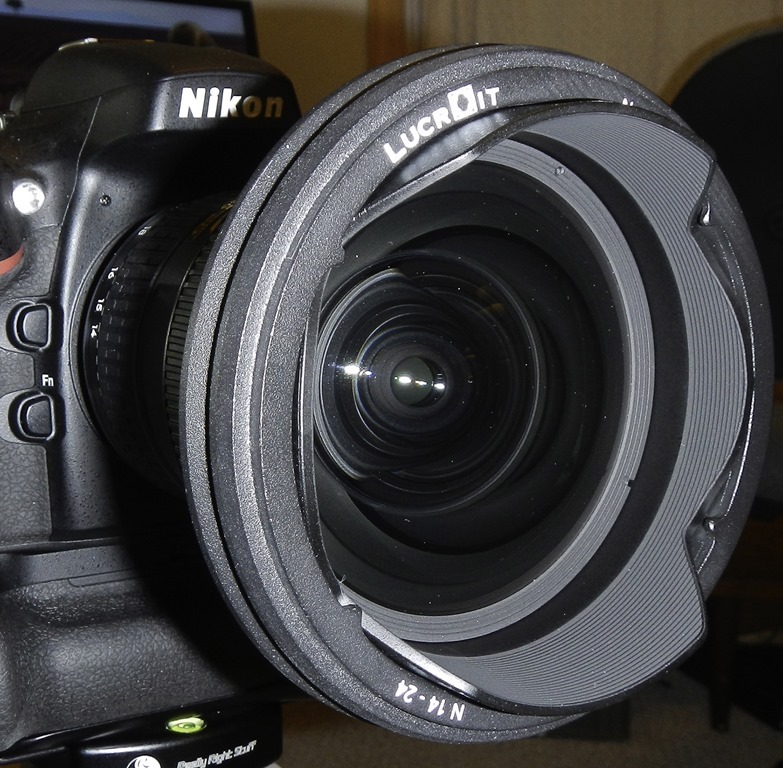 About a year ago I took a detailed look at a Lucroit filter system that catered to the wide and ultra-wide angle lens family. These lenses have radical front lens elements with integrated hoods and are difficult to use with filters, to say the least. Unlike their less radical counterparts, it is not a simple matter of screwing on a circular filter or filter mount. 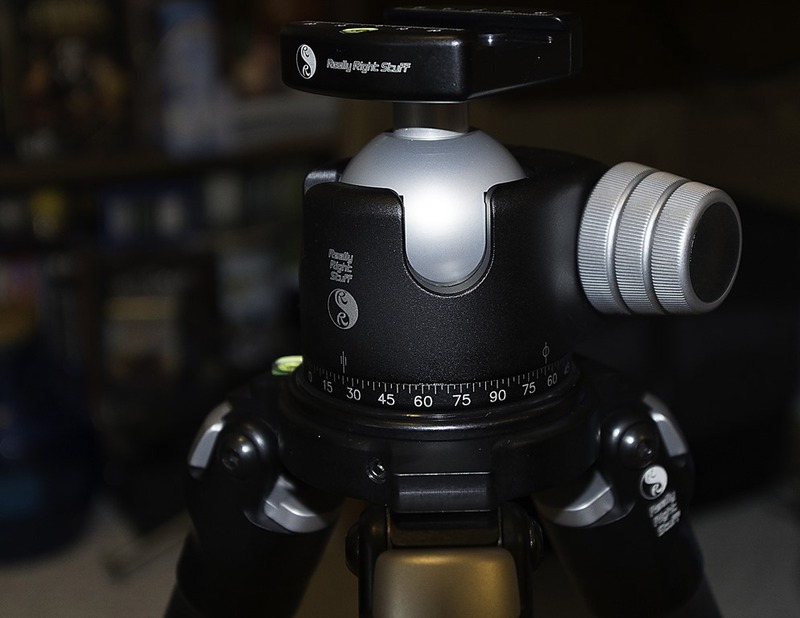 One solution was to simply hold a filter in front of the lens by hand while the exposure was taking place, but when the exposure times increase to minutes instead of seconds or fractions of seconds, the handheld method quickly becomes tiresome and prone to error. His friends quickly displayed their good natured skepticism toward the idea, but Javier, true to his word and industrious spirit, sent them a draft of his idea and the good natured humor changed to belief as they recommended to him that he have the idea patented. It wasn’t long before Javier began to receive requests for filter systems for other lenses. “Lucroit was born with the Nikkor 14-24 mm in mind, but I was soon asked about the Canon 14 mm and the Sigma 12-24 mm lenses. 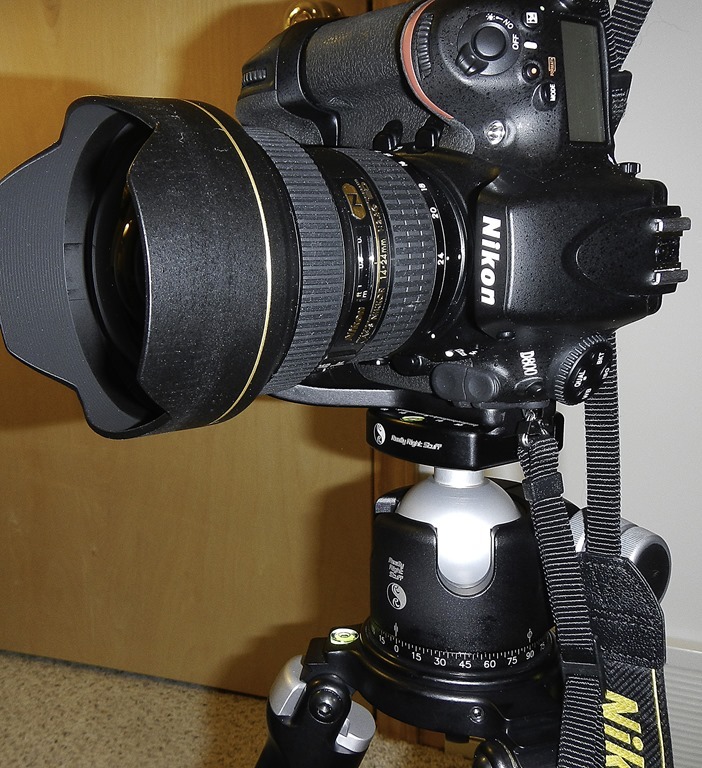 Initially, the design was a single unit but subsequent designs split apart the lens adapter and filter holder. 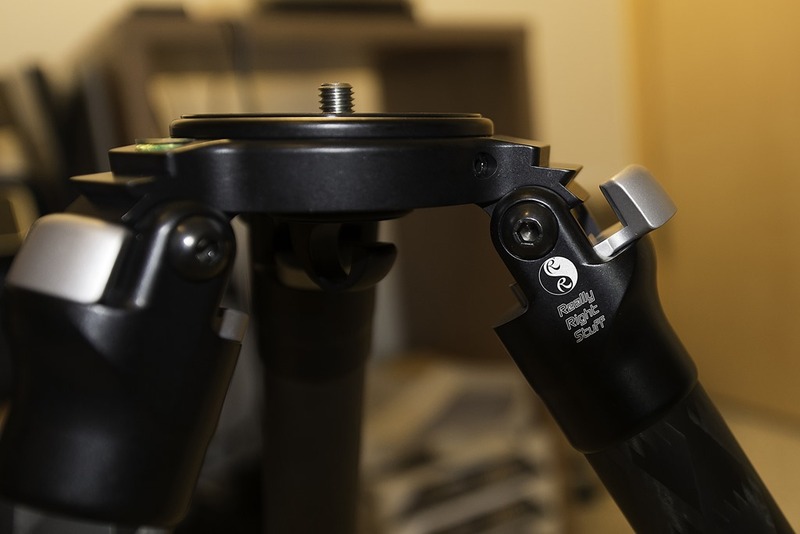 This allowed a user with many different lens types to purchase one filter holder and adapter rings as they saw fit.” Soon, Javier and his team were producing threaded adapter rings which extended the system to lenses with threaded front ends. “After twenty three prototypes, we arrived at the final system.” Now that, my friends, is passion! 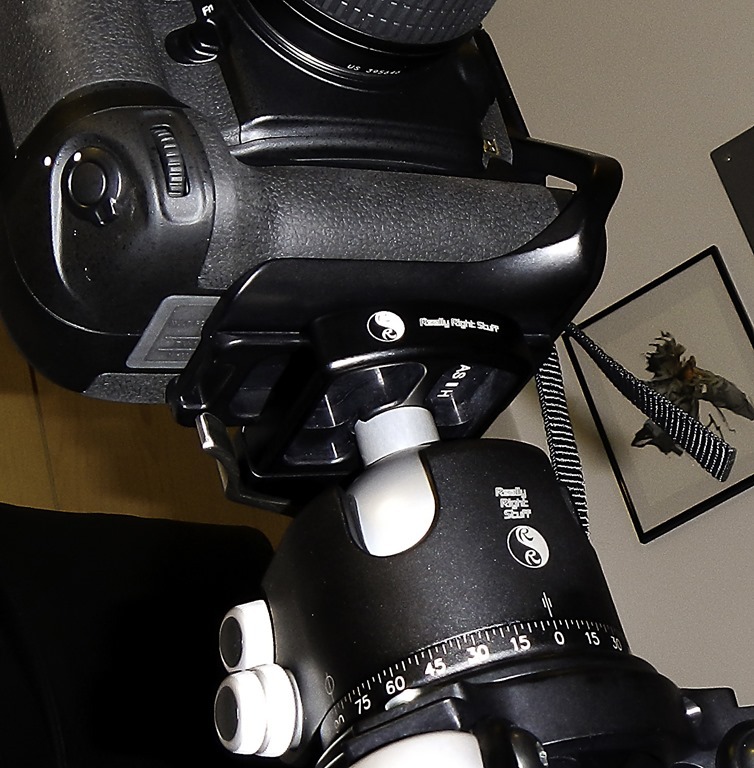 As an industrial engineer, Javier has a great deal of experience solving problems of the exact nature that faced him when he solved the problem of placing a filter on a lens many felt was simply too bulky and unyielding for a decent filter solution. His system is simple, elegant, and brilliant, a testament to his passion for the craft and unwillingness to concede that there was not a viable answer. I have used the system for about a year now and it has taken me in creative directions I never would have thought possible. Much has changed for Lucroit since Javier created the company in 2012 and, as photographers, this is good news for us. The newest system from Lucroit is in many ways similar to his design for the wide angle systems—easy to use, lightweight, and feature filled. Unlike the initial system, this one is designed exclusively for lenses that have threaded filter rings at the front element. 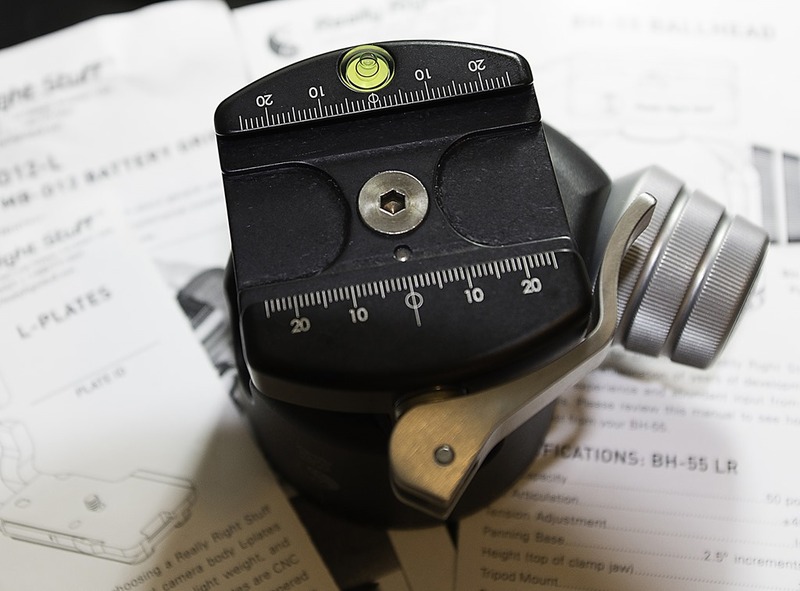 Fitting lens thread sizes of 49 -82 mm, this new system covers a wide range of lenses. 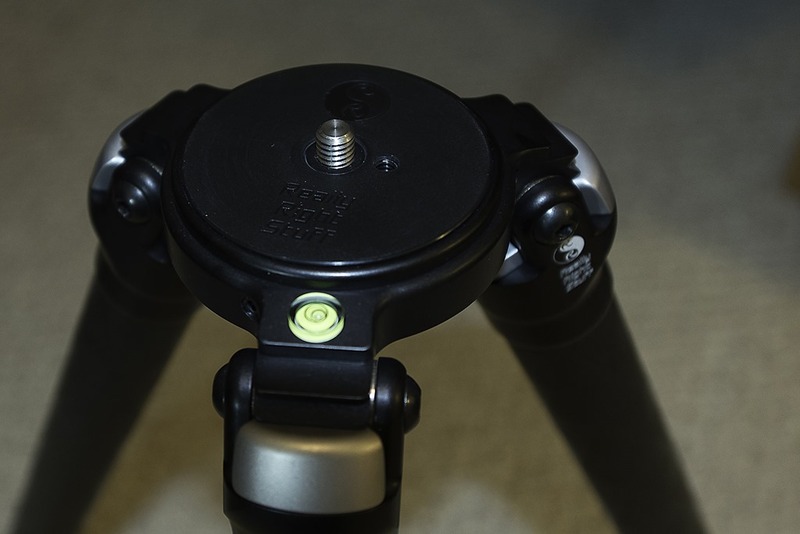 Whereas the filter adapter for the wide angle lenses was a friction fit, the new system screws onto the front of the lens, the adapter is snapped on, and square filters are then inserted into the filter holder slots. The filter slots come in several configurations, two and three slots for resin filters, and two slots for glass filters. 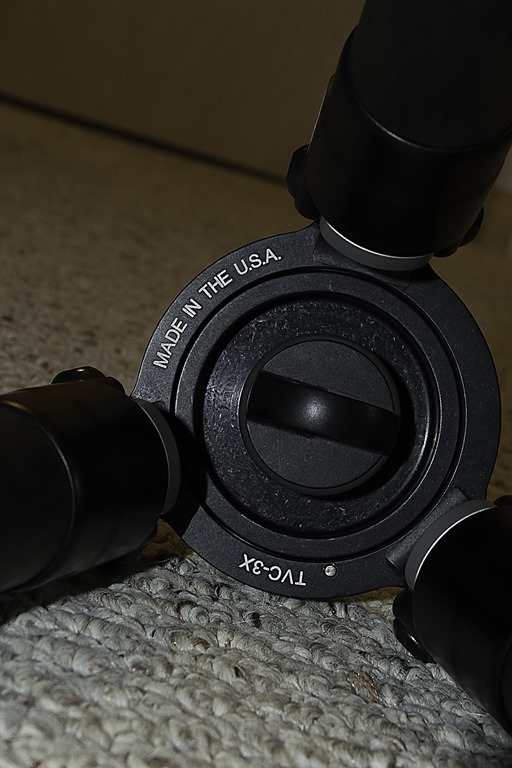 Further enhancing the utility of the system, the adapter ring is manufactured with two thread sizes—one size to fit the lens and another in the front of the ring for a screw on filter. The second thread can be the same, or slightly larger, than the thread lens size. In other words, you may have a 50 mm lens thread and want to use a 52 mm screw on filter, perhaps a polarizer, and then you can place square filters in the slots in front of that. It sounds complicated, but once you see the system it makes perfect sense and opens the door wide for creative opportunities. 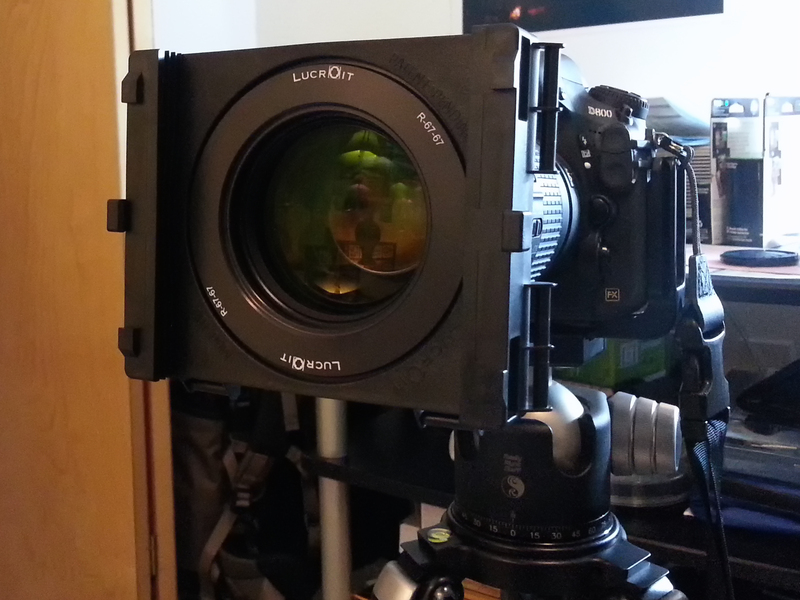 The Lucroit 100 mm filter system in place on a Nikkor 70-200 mm lens. The square filters can be 100×100 mm, 100×125 mm, or 100×150 mm, depending on the situation. For example, the 100×100 mm filter may be a pure neutral density filter whereas the non-symmetrical sizes may be graduated neutral density filters. 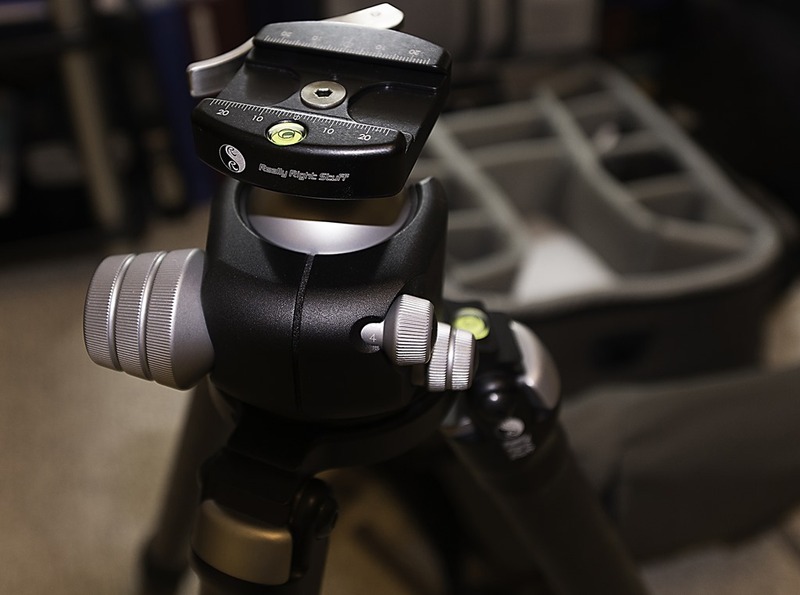 Further, the system accommodates a larger, front mounted (snap on) circular polarizer option and an innovative light shield\matte box\splash guard that fits on mounts located on the sides of the main holder. 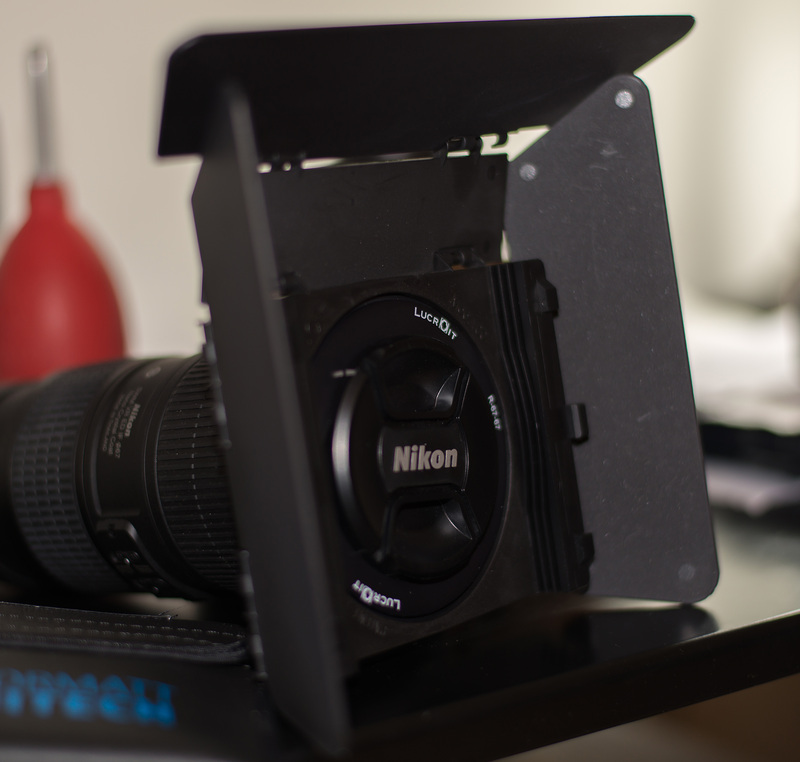 Those of you who have ever had stray light or splashing water ruin an otherwise good exposure will appreciate the matte box option. Yet another bit of innovation that is quickly becoming the hallmark of Lucroit products. For my field trials with this system I had the 50 mm and 67 mm adapter rings, a filter holder with three slots, a seven stop neutral density filter and a 0.9 graduated neutral density filter. Both of the slot filters were from Hitech Formatt but the system will work with any filter that is 100 mm wide. The fit of the filters was precise, that is, once placed in the slots there was no sliding of the filter. Once I was acquainted with the new gear, it was time to head into the real world and put everything to the test. I hopped in the car for the very short drive to one of my favorite locations, the gentle banks of the Platte River. We’ve had a tremendous amount of snow this winter—nearly twice the yearly average—so I was able to obtain a vantage point that usually isn’t possible in the winter unless you have a four foot ladder to stand on! 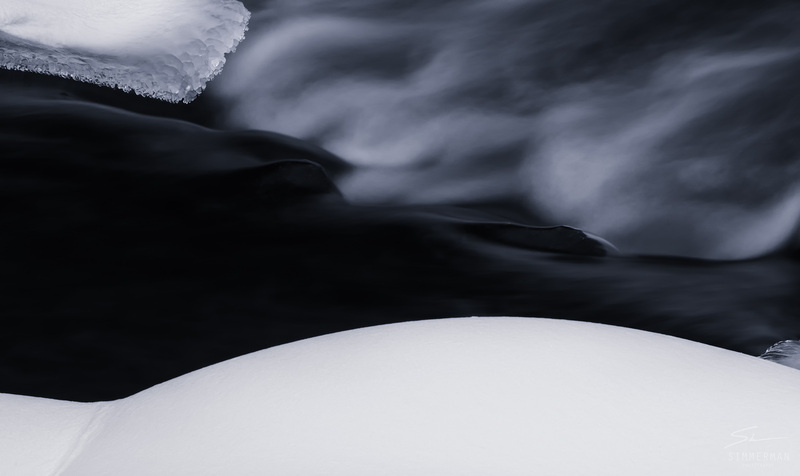 Mindful that even the most solid of snow can form pockets and send you sinking onto the very large boulders below, I took a great deal of care where I walked and where I ended up placing the tripod. Finally, I had my spot and an image in mind. I chose a time of day when the sun was well above the horizon as I wanted to check the light sealing properties of the system with a neutral density filter installed. The lens of choice for this outing was the Nikkor 70-200 mm f\4. 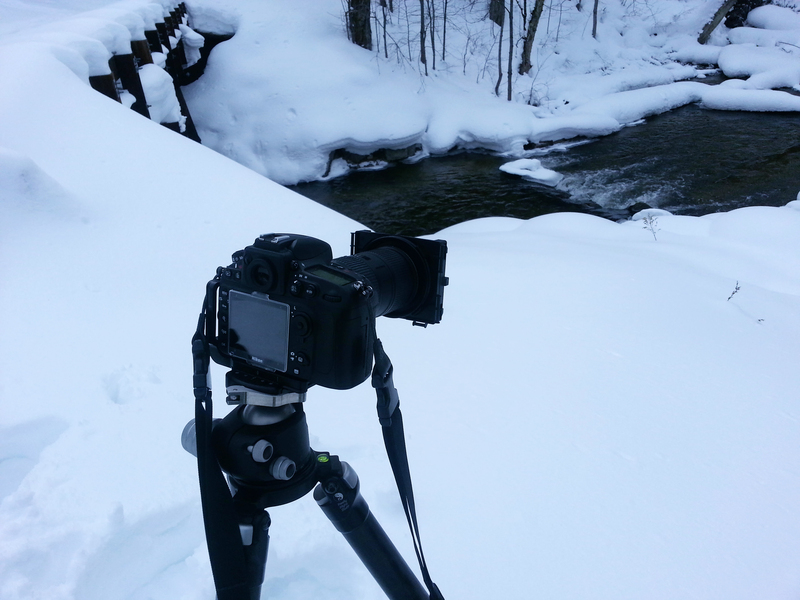 The Lucroit 100 mm filter system in use at the Platte River, Benzie County, Michigan. Weather conditions were fairly docile with the exception of the temperature, a much less than balmy 22 F (-6 C), but there was almost no wind to speak of. One thing that can expose the weakness of a system or piece of gear very quickly are extreme temperatures. 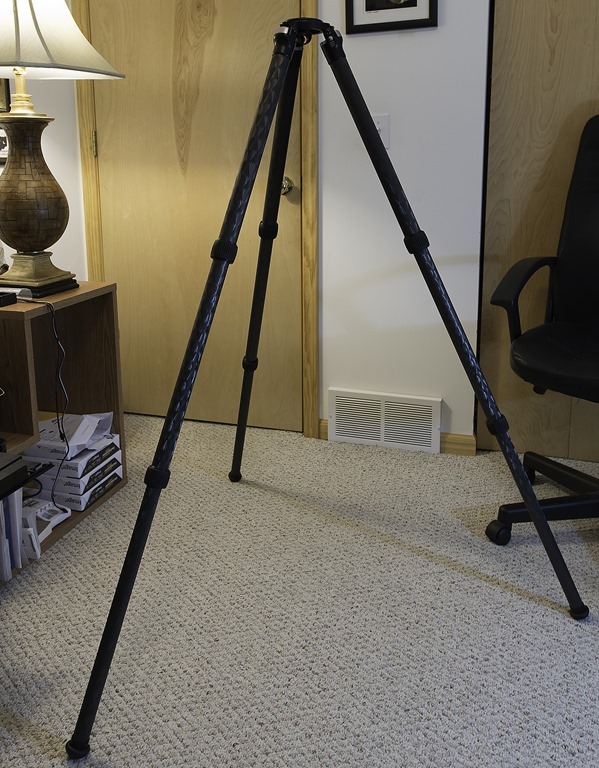 As an example, I used to have an aluminum tripod and while it was a pure joy to use inside or during warm temperature outings, it turned into what seemed the coldest object in the Universe as the temperature dipped below freezing. I have gloves with me when I venture into the freezing wilderness, but I have yet to find a thin enough glove that allows me to operate camera controls, tripod controls, or slide filters around with any sort of accuracy while at the same time keeping my hands warm. As such, I’m usually putting the gloves aside once at the location and using hand warmers in my pockets to keep my hands workable. 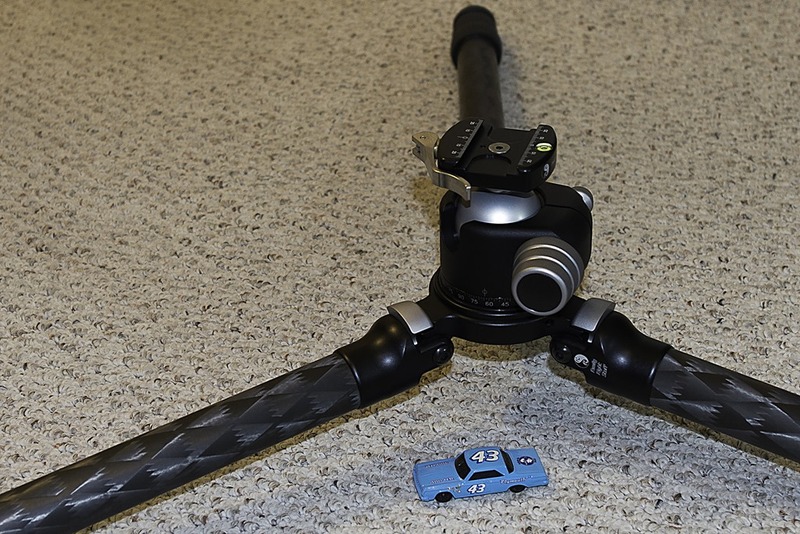 Even so, moving an aluminum tripod in below zero temperatures quickly becomes uncomfortable. The freezing cold can expose the weakness of a part in ways you would not expect—plastic parts mysteriously shatter, remote trigger cables freezing solid, and tripod heads suddenly losing their ability to maintain the camera position to list a few examples I have run into. 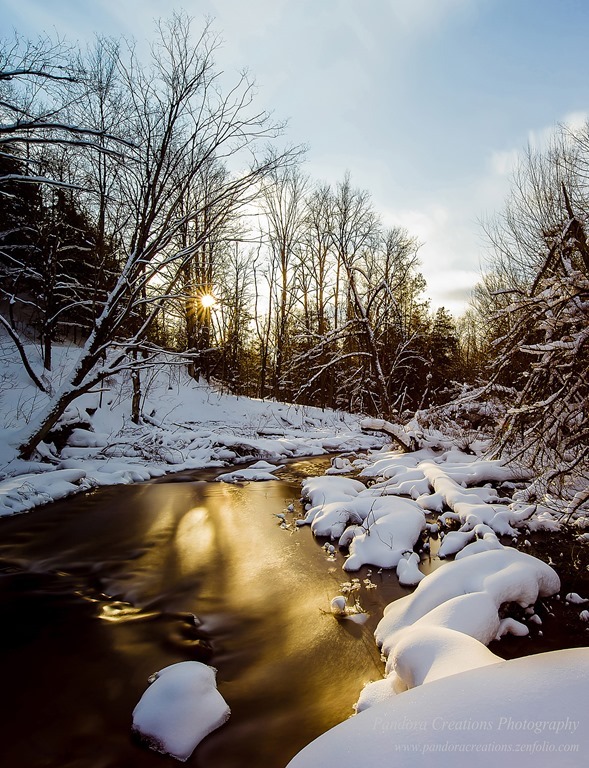 I have yet to see any problems related to extreme cold weather temperatures while using the wide angle Lucroit system and the new threaded filter holder system was no different. The adapter screwed on, the filter holder snapped onto that, I placed the neutral density filter into the slot closest to the lens and not one bit of drama was noted. I acquired a few images and packed up for the day as the light was disappearing and my position on the snow above the boulders was tenuous, at best. As sessions go it was a short one, only a few hours, but it provided me with some pleasing images and put in my mind the confidence that this new system from Lucroit has earned a permanent place in the gear bag. 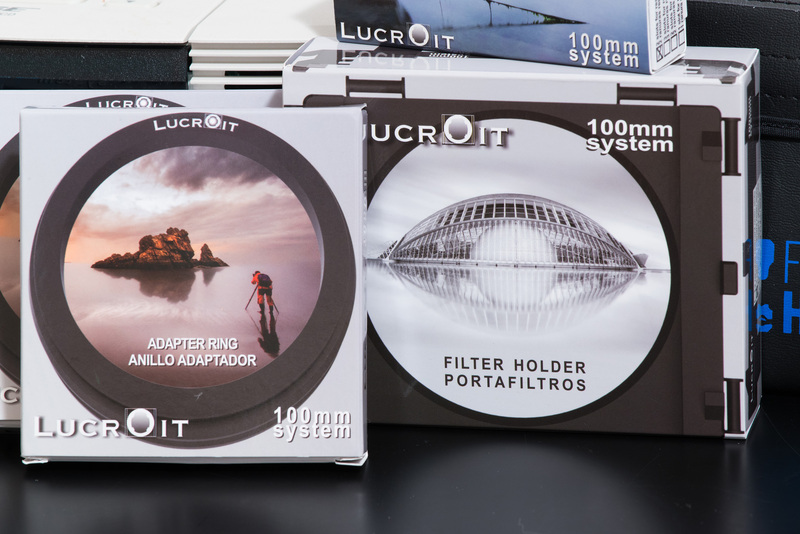 Visit the Lucroit page for more information about the 100 mm Filter kit as well as other systems available. To receive a 10% discount on your purchase, enter the code BOBS10 at checkout. Discount does not apply to the Zeiss or Raico Rosenberg kits. f\18, 4 seconds, ISO-100, 200 mm, Formatt Hitech 7 stop Pro IRND filter, Lucroit 100 mm filter system.